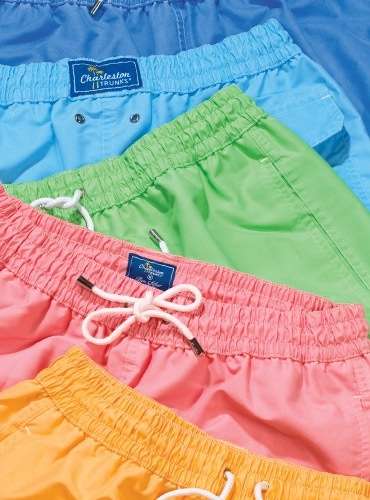 Our exclusive swim trunks offer comfort, style and color. 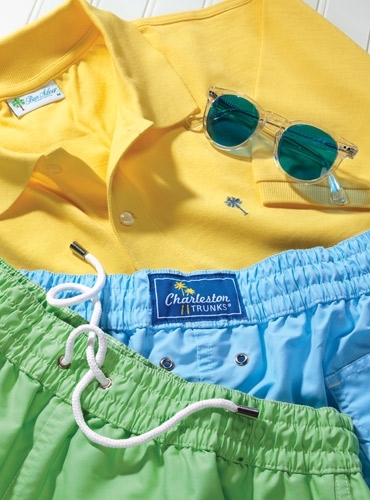 Quick wicking fabrics, in bright solid shades. 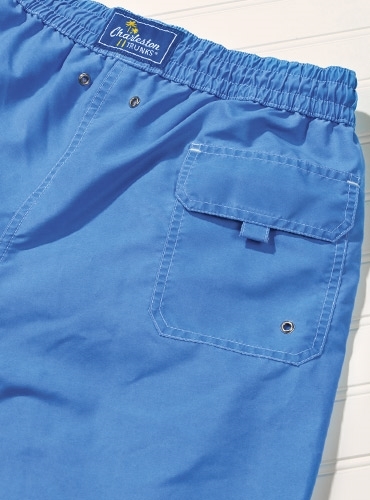 Comfort assured by the cotton lining, flexible elastic waistband, cord drawstrings with Ben Silver engraved metal tips to prevent unraveling, a single back Velcro flap pocket and a proper 5" inseam. 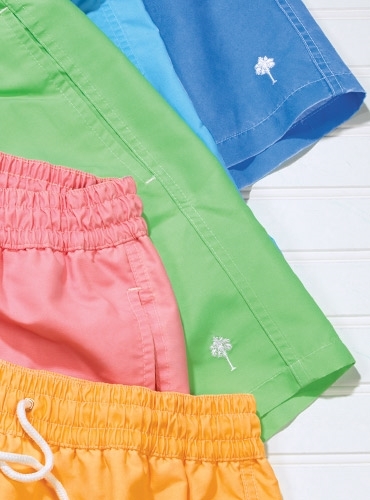 Solid swim trunks, embroidered at the bottom corner with our own Palmetto tree. 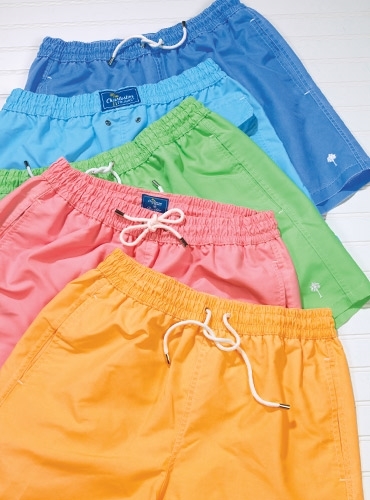 Available in: A-royal blue; B-sky; C-lime; D-watermelon; E-peach. Sizes M-XXL.